DynaCon Modular Low Profile Conveyors fit into tight spaces, under equipment or in spots where conventional parts handling conveyors won’t fit. DynaCon Low Profile Conveyors are only 4″ tall, and made with lightweight material, but are built with unsurpassed strength and durability. 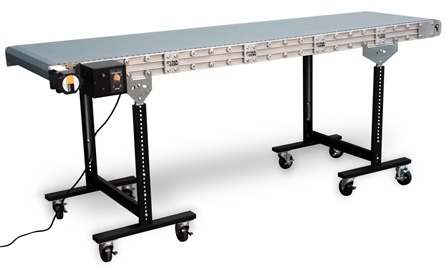 Using conveyor modules as short as 6-1/2″ in length, you can easily lengthen or shorten the conveyor in a matter of minutes without compromising the integrity of the conveyor. This offers a cost-effective solution to traditional parts handling conveyor challenges, which are expensive and practically impossible to customize. Compatible with plastic link style conveyor belting which doesn’t require realignment or frequent replacement. 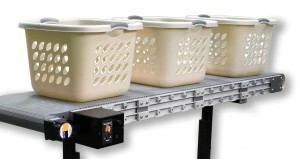 Conveyors offer straightforward mounting for a variety of accessory options.